In our opinion the key to the success of your investment is the management, and we believe that the management company you choose to work with is as important as the property you decide to buy. When you complete your purchase one of our experienced after sales team will make sure that your file is handed over to the management company and you are introduced to your account manager who will be liaising with you and your tenants. It is essential that our management company can offer a wide range of services which can be tailored to any investors needs. A good management company will be able to provide the following list of services. Placing the right tenant is essential in your investment working for you. Our management companies will have a rigorous screening process ensuring that the tenant is well qualified and with right references. The management company will collect the rent from the tenants every month and remit the funds to an account of your choice anywhere in the world. You will be given an online portal in which you can manage your property from overseas seeing all incoming and outgoing monies. From time to time you may need general maintenance on your property. The management company will ensure that we get at least 2 quotes for any necessary works that need carried out. At the end of the tenants lease the management company will meet with the tenants and get new signed contracts and lease agreements. Every few months the management company will carry out random inspections on the property to ensure that its being well maintained. On completion our after-sales team will walk you through the next steps and help you get everything in place, they will introduce you to insurance companies, management companies and even a local accountant. We have already done our homework so we know who offers the best insurance polices at the most competitive prices. Global Investments will put you in direct contact with the main insurance providers in the UK on the day you close, they will also help you fill in your insurance application form if need be, we will have you up and running within 24 hours. 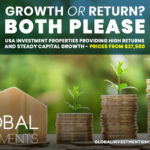 At Global Investments we know exactly what needs to be done from start to finish to ensure that every box is ticked and your purchase goes as smoothly as possible. 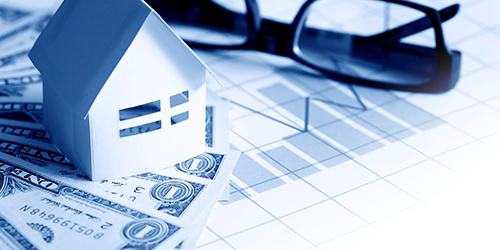 We continue to provide you with a professional service after completion of your property investment. Once you’ve completed we are still here to look after you as part of our original promise. 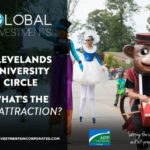 At Global Investments Incorporated we strive to give our investors the one stop shop which includes providing an excellent foreign exchange option for when it comes to paying your deposit on your property and finally closing on the sale. We work with probably the largest Foreign Exchange company in the world called Money Corp.
Aftercare Service is an essential part of our Client-Care policy, delivering added value services and committed to exceeding customers expectations. The Aftercare department is a specialist division offering a complete, flexible client & property care solution, encompassing pre- and post sales services, fully committed to satisfy your every need. Through our extensive list of services, partners and professionals, we offer a flexible and cost-effective solution for all property needs. As a company our philosophy is based on communication, we understand that your property purchase can be thousands of miles away and you want to know that there is a voice at the end of the phone. Our promise to our clients is to always respond no matter what time of day or night. As a landlord of course issues may arise but it is important you have the right support in place to ensure the issues are dealt with effectively. We are there from start to finish, every step of the way. You will be assigned your very own personal advisor who will help you with everything, whether it is dealing with paperwork, responding to emails or just practical advice on how to move things forward easily and quickly. We are always available if you need any help with anything or have any questions. We understand that the success of our business is dependant on the success of your investments, so we will do everything in our power to ensure that this is the case. The biggest part of our business is repeat and people recommending friends and family, which of course would not happen if they were not 100% satisfied with their original investment.